This is an optional Revolution Design Racing Products Aluminum RB6 Mid Motor Rear Bulkhead. 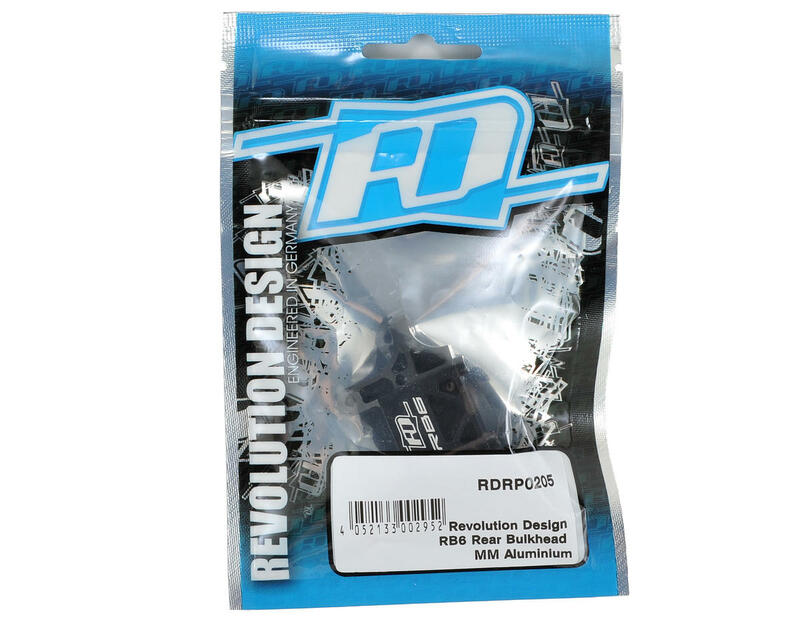 The RDRP mid motor RB6 rear bulkhead is designed to replace the kit's plastic bulkhead with a more durable, precision machined component. 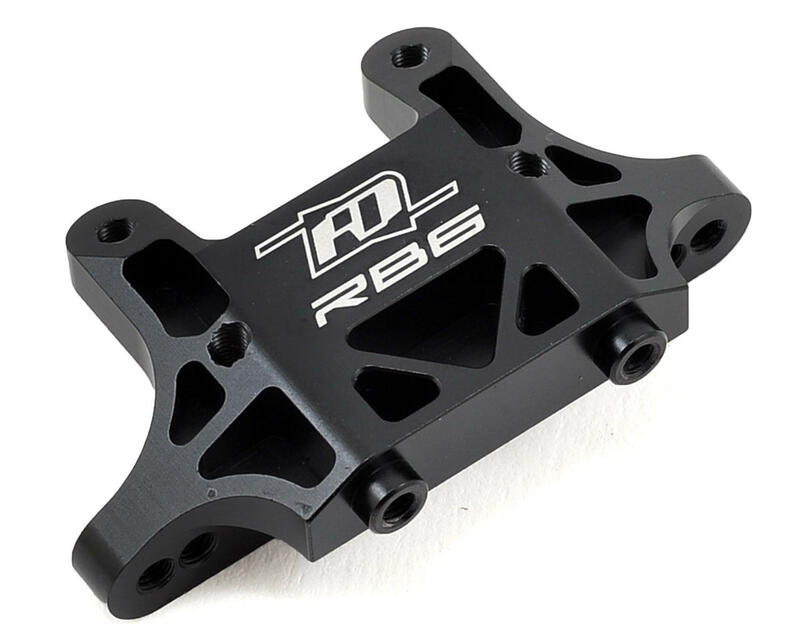 Manufactured from high quality 7075-T6 coming laser-etched for easy identification, this part provides a solid base for the upper camber link mounts and wing mounts, and it weighs a mere 13 grams. Now you never have to worry about a DNF because the ball stud got ripped out in a crash.